How to get a visa extension Thailand? The stress of searching though all that info on the web, to know how to get a damn 30 day Thai visa extension. it drove me insane! 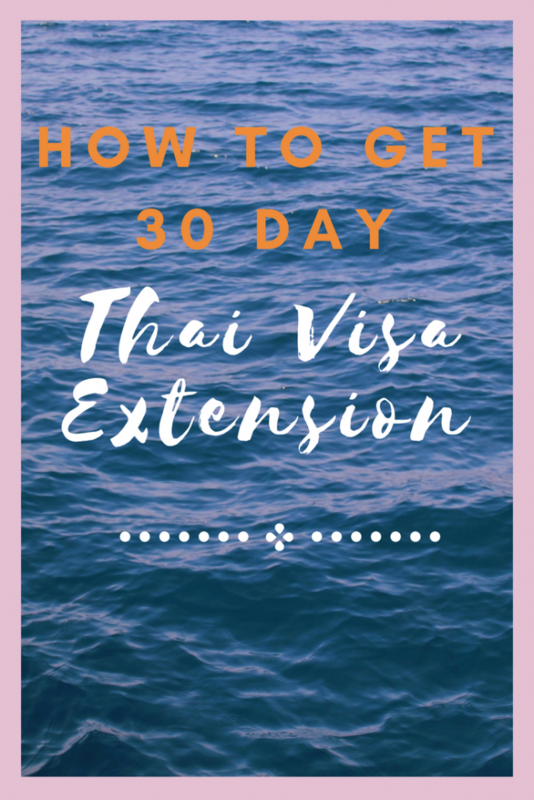 Therefore, I’ve done this post to share with you the info regarding how to get a Thailand 30 day visa extension. I paid for a 30 day Thai visa extension in August 2018. So depending when you read this, it’s the most up to date and honest Thai visa application extension information in 2018. We was backpacking in Thailand and needed a visa extension for our 2 month stay. After 30 days in Thailand you will have to extend your visa, which is exactly what we had to do. It may seem stressful but it’s not that too difficult of a process to be honest. I extended my visa at the recently moved Thailand tourist visa emigration offices in Bangkok, As of 2017 the Thailand visa application office office in Bangkok moved to a new location. I can’t understand why because it’s a bit of a nightmare to get to for backpackers staying in the centre of Bangkok, like I was. The easiest way to get from the centre of Bangkok to the Thailand 30 day visa extension office is by using the Grab app taxi service. You guaranteed to be dropped off at the main Thai emigration entrance, the bus won’t take you straight to the door. How much will it cost for a taxi from the centre of Bangkok to the Thai 30 day extension office? My taxi cost 228 Baht ($8.50) from my hostel in Bangkok to the entrance of the Thai 30 day visa extension office. It will vary a little depending on the location of you accommodation in Bangkok. However, don’t pay much more than this, some taxi drivers might try to rip you off. Use the Grab app and it will tell you how much it will you cost you to get to the Thai embassy before you accept the journey. That’s one of the best things about the Grab app, it tells you exactly what you will pay before taking any journey, therefore you can avoid being ripped off by taxi in Thailand. 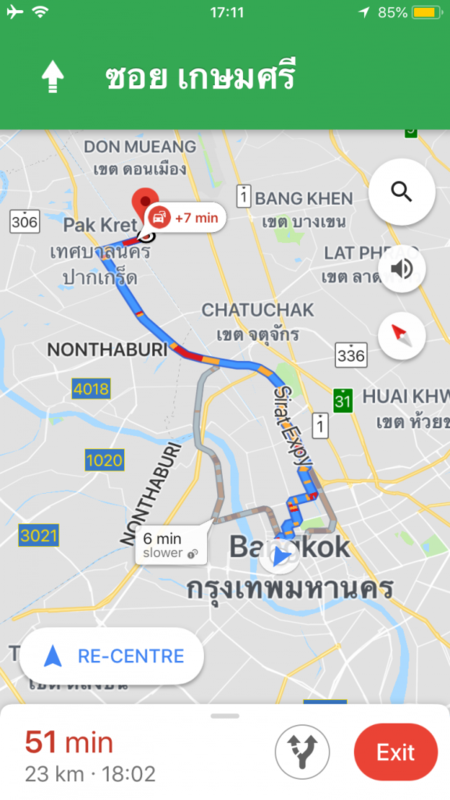 Little extra travel tip – we set off in the morning and there was a mad traffic jam, you will most likely face a traffic jam in Bangkok. So, you can tell your Thai taxi driver to go on the highway to the Thai 30 day visa extension office, but this comes with a small extra charge of 60 Baht ($1.90) this shaved time off the journey. How long to get to the Thai visa extension office from Bangkok? Our journey took around 45 minutes and that’s with hitting the Bangkok highway. So expect over on hour if you choose to not pay the highway toll. Remember though with a Grab, no matter how long it takes you will only pay the agreed set price. How much is the cost of Thailand 30 day visa extension and what are the Thai visa requirements? The price of the Thai visa 30 day extension is 1900 Baht ($57.00). I know, it’s not cheap and that’s why a lot of backpackers do a border run. The 1900 Baht is the set price for a Thai tourist visa extension, there’s no bartering with this one. You will also need to bring the following. If you don’t have photocopies of your passport, don’t worry you can get it done at the Thai emigration office for just 2 Baht ($0.06). You can also get your passport photo done for 100 Baht. ($3.00). What do I need to do at the Thai immigration office and how long does it take to get a Thai 30 day visa extension? You will have to fill out a Thai visa form, they give you this at the visa office and this took my 2 minutes to complete. Then, you will be given a ticket number, this is the fun bit of waiting around for an hour to see a visa officer. Once your number is called you have to pay and give the visa officer your passport and visa form. My Thai visa officer had a bit of a face on, she must have been in a bad mood. Anyway, once you give your passport and Thai visa form in, you will have to wait for another 20 minutes while they process your visa. Once this is done, you are now a proud owner of an extra 30 days on your Thailand tourist visa. Please subscribe below if this post has been helpful, thank you.